Are you looking to retire? Have you suffered the loss of a loved one and have to handle their estate? 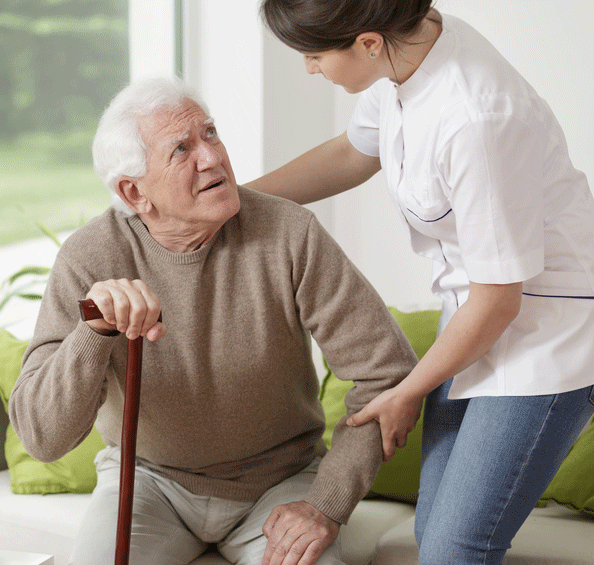 Do you or a loved one need special care as time goes on, whether it be in your/their current home, or perhaps a move to a new residence is needed? At Karpoff Affiliates we know what a hard and stressful time this can be, that’s why we have developed our signature service MovingOnNYC. This specialized service was created to ease the transition involved in a process like this. Our team of experienced and certified NASMM Senior Move Managers and Aging in Place specialists, will work with you and/or your family members to develop a customized plan specially tailored for you. ASK US to sell your home, and help you move to get a reduced price! MovingOnNYC provides practical and compassionate relocation & transition planning. Perhaps you or your loved one wants to stay in their own home, but require their home to have special accommodations in order to continue living there. This is where our other service comes in, Aging In Place. We can do everything to prepare your home for the next stage in your/their life, let one of our senior move managers help you with this process. If someone you know is considering aging in place, we can help enable them to continue living where they have lived for so many years. One of our specialties is residential remodeling and home modifications to fit one’s changing lifestyle needs. Keeping a senior in their home is very involved, so we created an Aging in Place Resource Team. At some point, they may need more individualized care, a better support system, or just a smaller space. Senior transitions to a smaller home, assisted living facility, or long-term care can be overwhelming for everyone involved. Every day, older clients struggle to move away from the coziness of the home they love. Adult children, baby boomers, struggle to help while coping with the demands of their professional lives, their interests and their other responsibilities. Part of the sandwich generation, they are also caring for their own children as well as their parents. Taking the time to divest yourself of a home is not only time consuming, it can be emotionally exhausting. Safe living is a priority as is both proper organization of household goods and de-cluttering of items in the home are essential for them living in their home safely, independently and comfortably. We help families assess living situations and mediate between caregivers and their loved ones all the while offering emotional support for everyone involved. We will develop a custom plan for your home or your loved one. We can also renovate your home so that you can have greater safety, mobility and access opportunities. We also work with antique dealers, consignment shops and e-bay specialists. We can help relieve the stress of senior transition by working with families and friends as they go through this process. Over the years, Karpoff Affiliates signature service Moving On NYC, has earned a reputation for personalized service and a deep commitment to our clients’ well-being. Need to relocate, downsize, or transition into an assisted living community, we can help as licensed and certified NASMM senior move managers. What makes us unique among senior move managers is the fact that we are fully licensed real estate brokers and speech pathologists.